From traveling the world as a private Pilates tutor to opening the tranquil Noosa Flow Pilates Studio, Claire Toone has had a life worthy of a book. 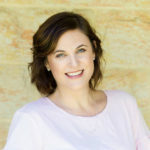 Jolene Ogle sat down with Claire to find out a little more about the fascinating owner of Noosa’s premium Pilates studio, Noosa Flow. For many of us, our first job out of school was probably not worth writing home about (I worked for doctor who still had a typewriting machine in 2002), but for Claire her career has been deep-seated in wanderlust, excitement and world-wide travels. She now calls our piece of paradise home, but this small business owner has done everything from sales and marketing for luxe label Christian Dior in London to travelling the world as a private Pilates instructor. After settling back in Australia over two years ago with her four-year-old son, Claire is now busy expanding her wellness and Pilates studio opposite the picturesque Noosa River. “I originally opened Noosa Flow because I wanted a beautiful space where I could teach Pilates,” Claire says. The stress of working for the renowned label Christian Dior in London would lead Claire to try Pilates for the first time. She instantly fell in love. Now, she has grown Noosa Flow from just one instructor to nine and has recently added a private Pilates room and wellness shop to the ever-expanding space. “We welcome everyone to Noosa Flow. Whether you are a beginner or advanced, you are welcome to come and try our classes,” Claire says. Claire says the team at Noosa Flow can work with those wanting to begin their wellness journey to those who may be recovering from an injury, as well as pregnant women pre and post birth. Noosa Flow offers reformer classes, which is just like mat Pilates but on a special machine that increases resistance. You can also enjoy yoga and barre classes, plus private sessions. Whichever class you choose, Noosa Flow is the perfect place to restore balance of the mind, body and soul. If you’ve never tried Pilates now is the time to snap on some activewear, grab some non-slip socks and head over to Noosa Flow studio. Whether you’ve overindulged at Christmas lunch or want to get the New Year off to a good start, there are so many benefits to Pilates. To find out more, visit www.noosaflow.com.